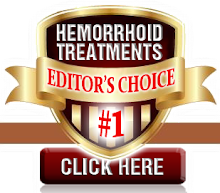 Facts About Hemorrhoid Treatment: When Will My Hemorrhoids Go Away? When Will My Hemorrhoids Go Away? Some hemorrhoids never go away, while others disappear on their own. Some hemorrhoids may go away by a simple change in your diet. Natural home remedies should work for most people. In some cases you may need to have surgery to remove them.